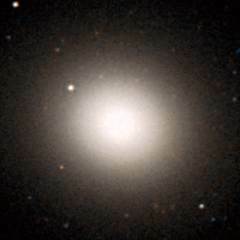 The Leo I group is a very famous group of galaxies because it contains a lot of bright galaxies. On the right is the M96 subgroup and on the left is the M66 subgroup which are connected to each other via NGC 3489 which lies between them. Below - three bright galaxies in the M96 subgroup. M95 (left) and M96 (centre) are both classified as barred spiral galaxies. 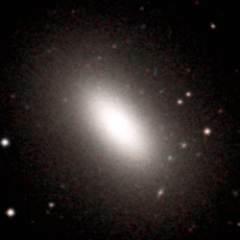 NGC 3377 (right) is a bright elliptical galaxy. 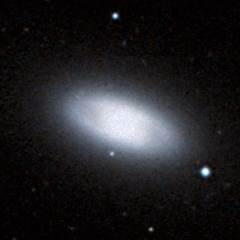 Below - three more galaxies associated with the M96 subgroup. M105 (left) and NGC 3384 (centre) are two more bright elliptical galaxies. 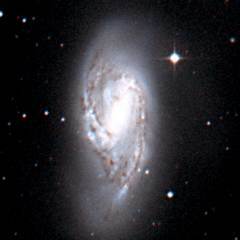 NGC 3489 (right) is a lenticular galaxy (lenticular galaxies are much flatter than elliptical galaxies) which lies inbetween the M96 and M66 subgroups. This is a list of the main galaxies in the Leo I group. This group contains twelve galaxies with a diameter above thirty thousand light years. 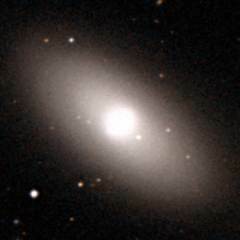 Ferguson H, Sandage A, (1990), Population studies in groups and clusters of galaxies. III - A catalog of galaxies in five nearby groups. Astron J, 100, 1. 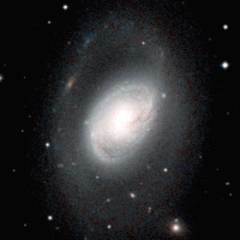 Below - three galaxies in the M66 subgroup. 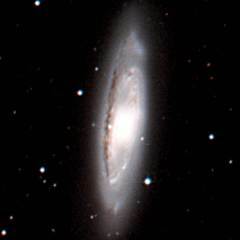 NGC 3593 (left) is a lenticular galaxy with some lanes of dust near the middle of it. M65 (centre) and M66 (right) are two bright barred spiral galaxies. 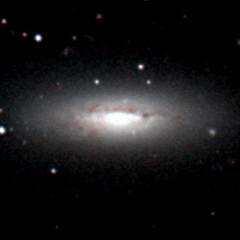 Shown below is NGC 3628. 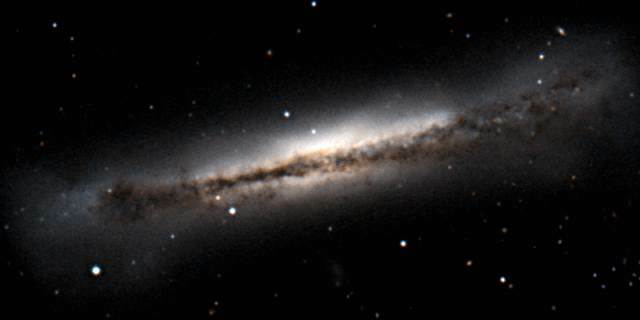 This is a superb example of an edge-on spiral galaxy. 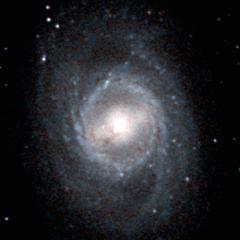 Like most spiral galaxies, the disk of this galaxy filled is with dark clouds of dust.